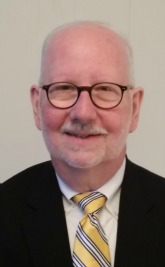 A Sioux City native has been nominated to fill a vacancy on the U.S. Court of Appeals for the Eighth Circuit to replace Judge Roger Wollman, who has announced he will take senior status. Jonathan Kobes, now serving as general counsel to U.S. Sen. Mike Rounds of South Dakota, was appointed by President Donald Trump to replace Wollman, who has announced he will assume senior status as soon as his replacement is confirmed. Judge Wollman, who was appointed to the Eighth Circuit in 1985 by President Ronald Reagan, will turn 84 this year. Kobes, 43, graduated from Dordt College in Sioux Center in 1996, Harvard Law School in 2000 and clerked for Judge Wollman after graduation. 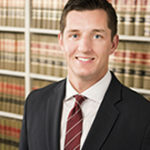 Kobes has had a varied legal career: He worked for the Central Intelligence Agency in Washington, D.C., for the U.S. Attorney for the District of South Dakota and the Sioux Falls office of Murphy, Goldammer and Prendergast where he was a litigation associate. Prior to joining Senator Rounds’ staff, Kobes was counsel for the Sioux Falls, S.D., biofuels company POET, senior regulatory counsel for DuPont Pioneer and then director of corporate compliance for Raven Industries. 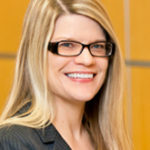 If confirmed, Kobes will be President Trump’s fourth appointment to the 11-member Eighth Circuit, following David Stras of Minnesota, Ralph Erickson of North Dakota, and Steven Grasz of Nebraska. The president could fill at least two more seats on the Eighth Circuit. Judges James Loken of Minnesota and Duane Benton of Missouri are eligible to take senior status. This entry was posted on Wednesday, July 25th, 2018 at 12:25 pm	by Rox Laird.